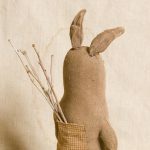 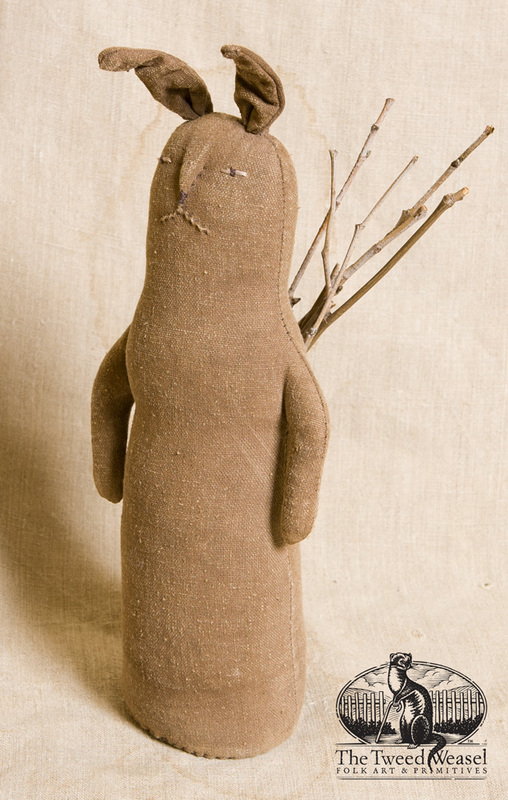 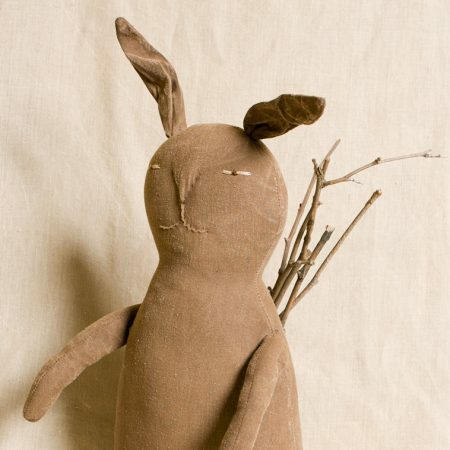 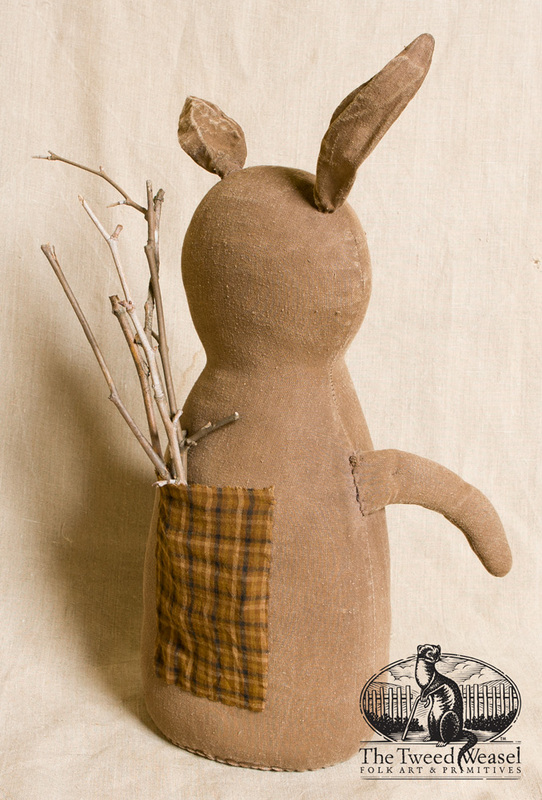 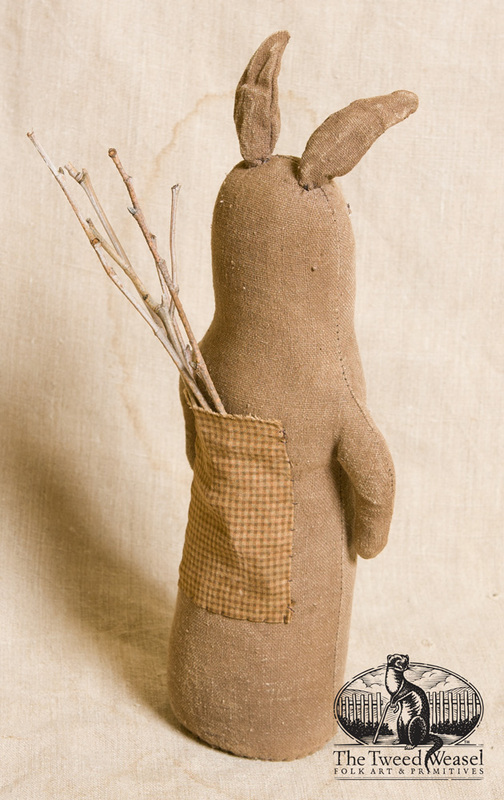 This handsome rabbit looks ready to hop back home with his handmade backpack filled with locally-found sticks and twigs. 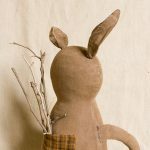 You can swap in any seasonal branch inserts to suit your decorating taste. 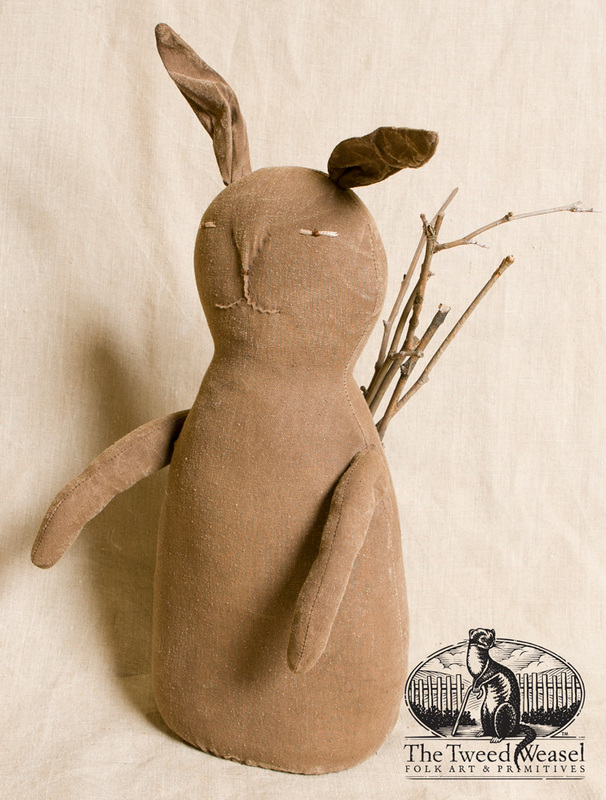 Designed and signed by Tish Bachleda. The measurements provided do not include the posable ears or sticks. 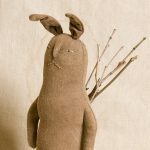 Tap each photo for full image.